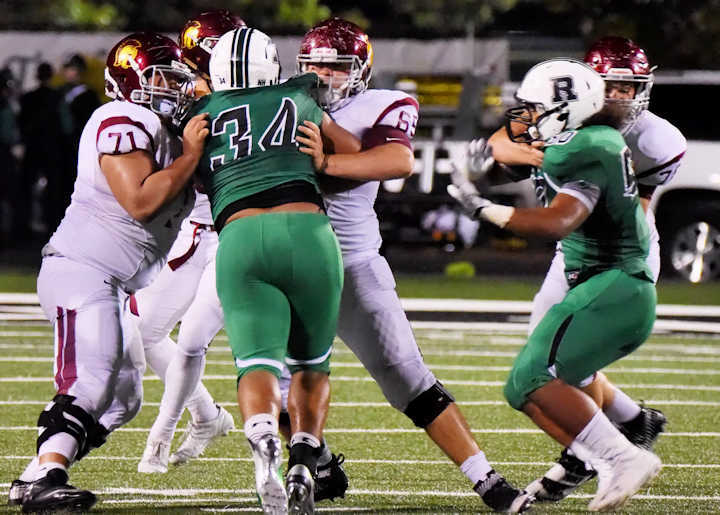 ROSWELL—The Hornets returned to Ray Manus Stadium for the first time in almost a month on Oct. 7 to defeat Lassiter in the first game of 4-AAAAAAA region play this season. The Hornets opened the game with a five-play scoring drive. A 41-yard opening kickoff return by senior Kentrell Barber, followed up by a 31-yard scramble from senior quarterback Malik Willis moved the ball quickly into Trojan territory. Senior kicker Turner Barckhoff ended the drive by putting the first points of the game on the board with a 41-yard field goal. Lassiter’s first possession resulted in a safety caused by a bad snap and pressure from senior defensive end Justin Ellis. With his team’s lead now at 5-0, Willis again broke loose after the free kick, this time on a 35-yard quarterback keep that moved the Hornets within scoring range and allowed Barckhoff to kick his second field goal of the night and extend the lead to 8-0. 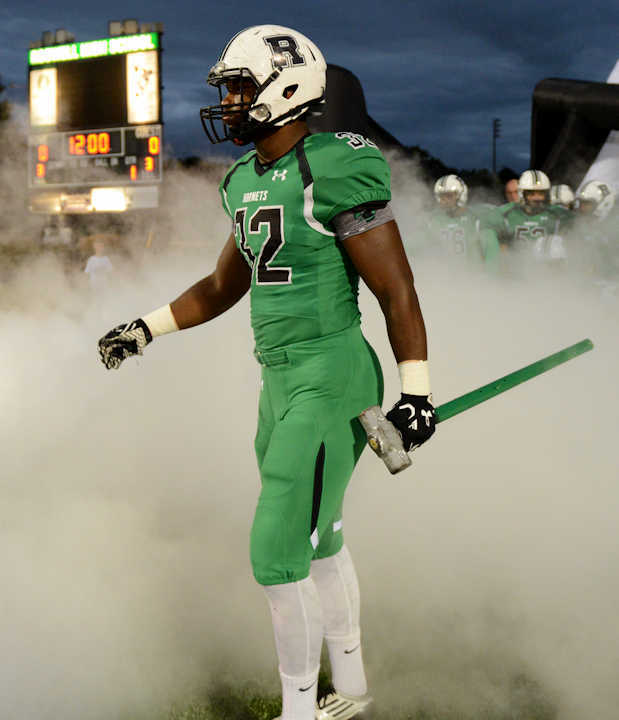 Before even four minutes of the game clock had run out in the first quarter, Roswell had already scored three times. The Trojans were not out of the running yet, though. They answered Roswell with a breakaway play good for 80 yards and a touchdown on their next possession to make the score 8-7. Though Lassiter earned the first touchdown of the evening, the Hornets would answer quickly with two of their own. 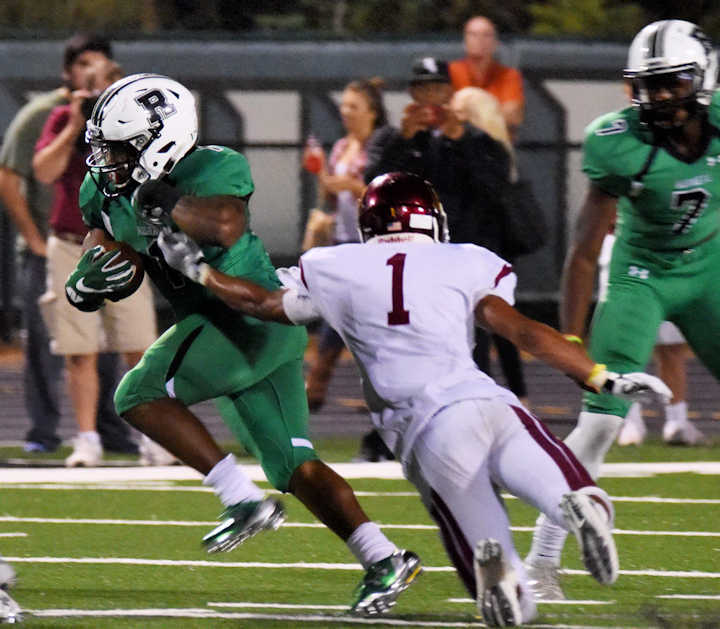 From Roswell’s own 20, senior running back Sheldon Evans pushed the ball deep into Lassiter territory. On six consecutive carries, Evans moved the chains to Lassiter’s 25-yard line, setting up a Willis to Barber touchdown reception to make the score 15-7. On their next offensive series, the Hornets traveled 69 yards to the endzone in 10 plays, with big contributions from Evans, Willis, and junior wide receiver Christian Ford. With two touchdowns, two field goals, and a safety, the Hornets had scored five times by the end of the first quarter for a 21-7 lead. A slower second quarter saw only two touchdowns, one for each team. 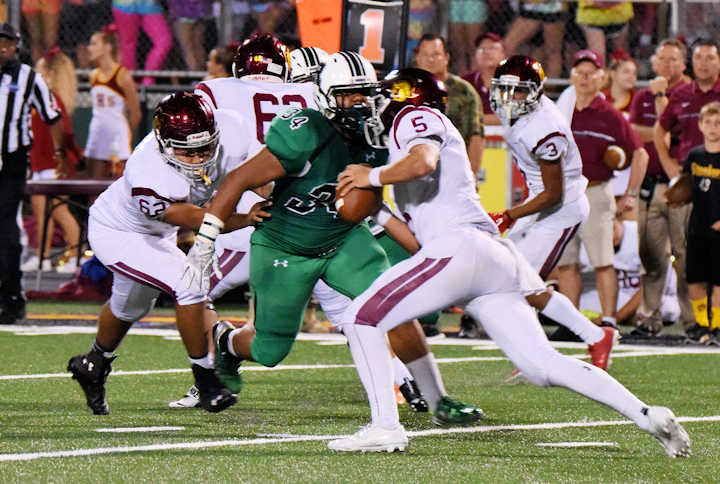 Roswell’s scoring drive was, like the previous one, a steadily paced and balanced attack. The Hornets scored in 10 plays, eating up three minutes and 39 seconds of game time, with senior wide receiver Jayden Comma finishing the drive with a six yard TD reception from Willis to make the score 28-7. 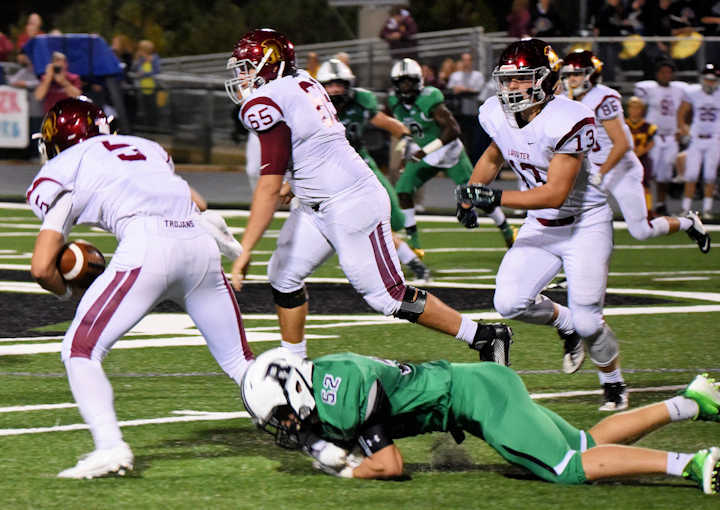 With less than a minute left in the half however, Lassiter answered the score with another of their own by capitalizing on a Roswell fumble deep in their own territory to cut the lead to 28-14 at the half. 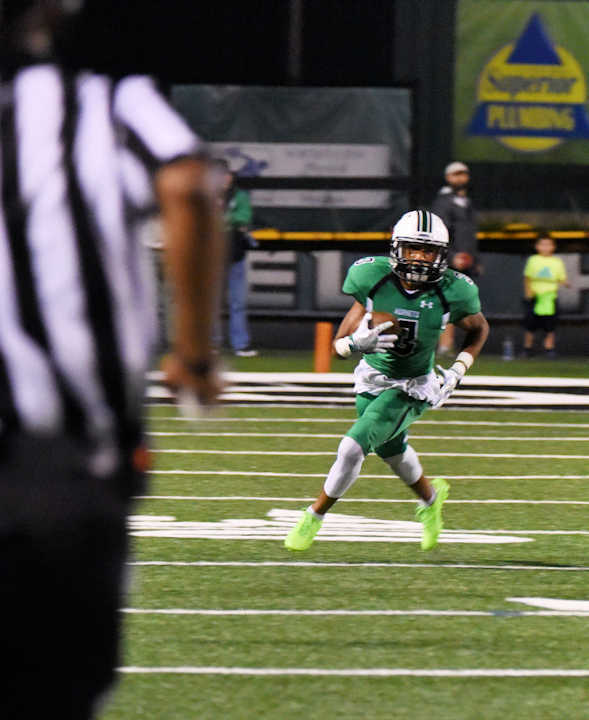 The third quarter began with a bang for Roswell, as Comma recorded his second touchdown reception of the evening —this one for 59 yards—to extend Roswell’s lead to 35-14. 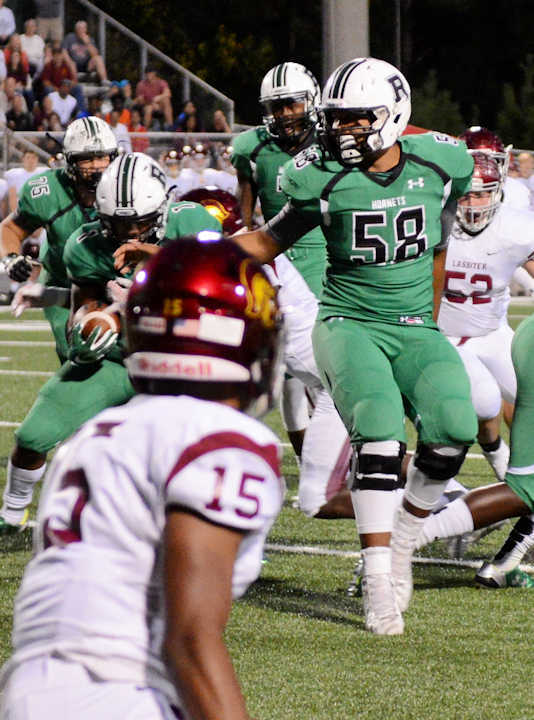 On Roswell’s next possession, the Trojans tried to wrest away control of the game by recovering another Roswell fumble. 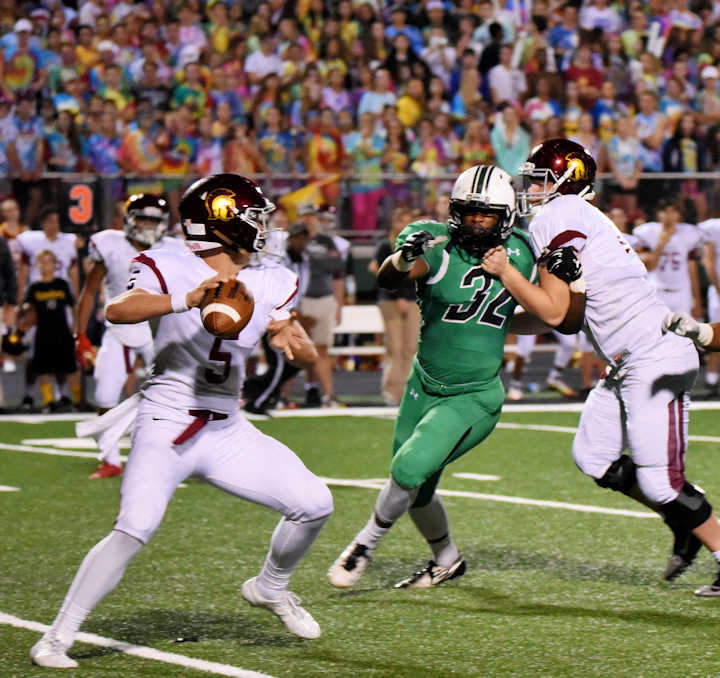 The defense however, led by senior defensive end Koby Cumberlander recording a sack for a loss of nine yards, denied Lassiter any daylight and forced a turnover on downs. From there, the offense took over and added another three points to the score with a successful 21 yard field goal from Barckhoff to make the score 38-14. To round out the game in the final quarter, the Hornets scored one last time thanks in large part to the efforts of sophomore running back Jajuan White. Carrying on four plays in a row, White rushed for a total of 65 yards, including a 3 yard TD rush into the Lassiter endzone to wrap the game up with a final score of 45-14. With less than a month remaining in the regular season, the Hornets will head to Marietta to face Walton this coming Friday. After that is another away game at Etowah on Oct. 21.